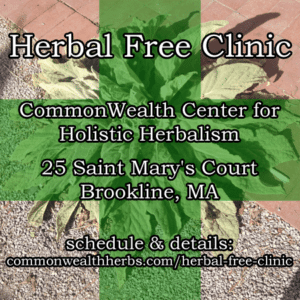 Community classes are offered every month, and may include weeknight or weekend classes, herb walks around the city, or special programs for adults or children. Our community classes are open to all and generally require no previous knowledge or experience. Topics change with the seasons and we're always open to suggestions or requests. Want to request a special class for your private group? No problem! We can come to your office and offer "Lunch and Learn" classes, or you can come to our office for an evening or weekend class. Just give us a call or use the contact form to send us email to get the ball rolling! Take a look at our past events archive to see some of the classes we've run in the past. We're always happy to re-run old classes (and we always update our handouts and notes as we go), so just contact us if you'd like to see one of these again!